FLOODS have hit much of the country as storms crashed into the west coast over the weekend. However, the Dr Jekyll and Mr Hyde-like weather will take another wild swing, with torrential rainfall and cold conditions set to be replaced by sunshine and balmy temperatures for Easter. The weekend will be pleasant and dry, with spells of sunshine and temperatures ranging from 20C to nearly 22C. Saturday and Sunday will be fine and dry. Temperatures will soar from the drab 8C experienced last weekend to 17C tomorrow and a glorious 22C on Friday. 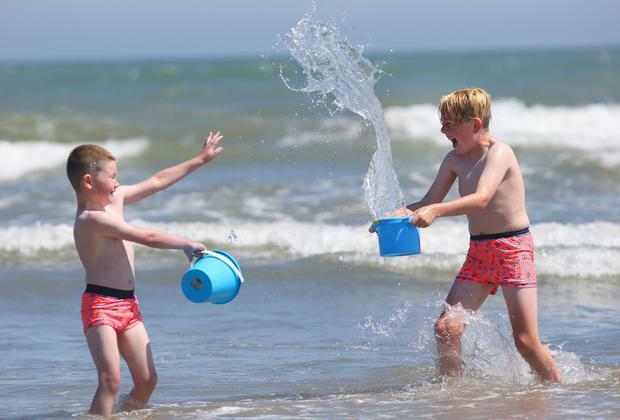 Met Eireann’s John Eagleton said that while Easter Monday could see the return of showers, the coming week will prove a welcome contrast to the past 48 hours. 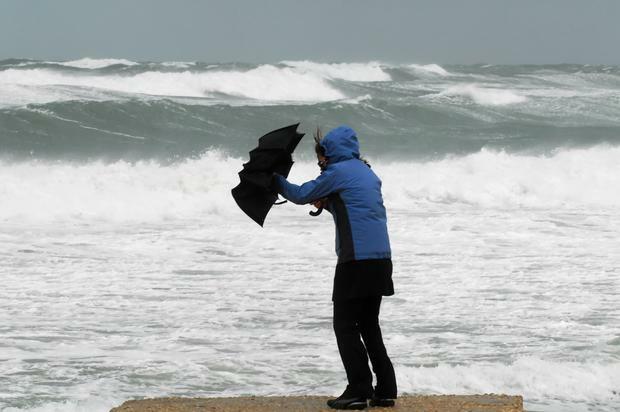 A total of four weather warnings were in place across Ireland yesterday, with Cork bearing the brunt of the torrential downpours and resultant floods. “The prospects are very good indeed for the Easter weekend,” Mr Eagleton said. The Easter Monday showers will be nothing like the torrential rainfall that prompted a status orange alert across Cork and Waterford. Nearly 70mm of rain had fallen in some parts of the south-west since Saturday night, with motorists facing road surface flooding and pedestrians getting a drenching. Drains and culverts in some areas of Cork were unable to cope with the deluge, with mini-rivers sweeping across some roads. Roads in Cork city around Blackpool, Tivoli and Cork harbour by Pairc Ui Chaoimh were particularly badly affected. Roads around Dunmanway and Bandon had to be closed due to flooding. Challenging driving conditions were experienced on the Dublin to Cork motorway. Irish Water Safety urged people to take extreme care near streams.